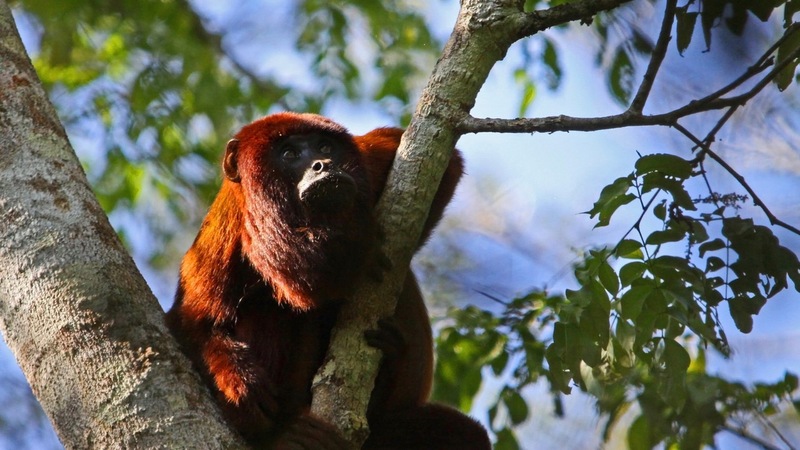 Our Collpa Chuncho 3-day and 2-night will take you deep into the Peruvian rainforest. 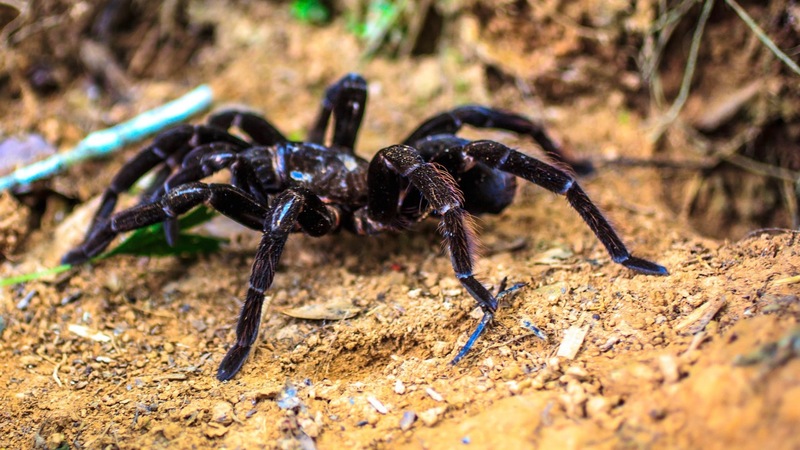 You will get a chance to admire some of the most unique species this world has to offer including rare birds, mammals, insects, amphibians and reptiles. 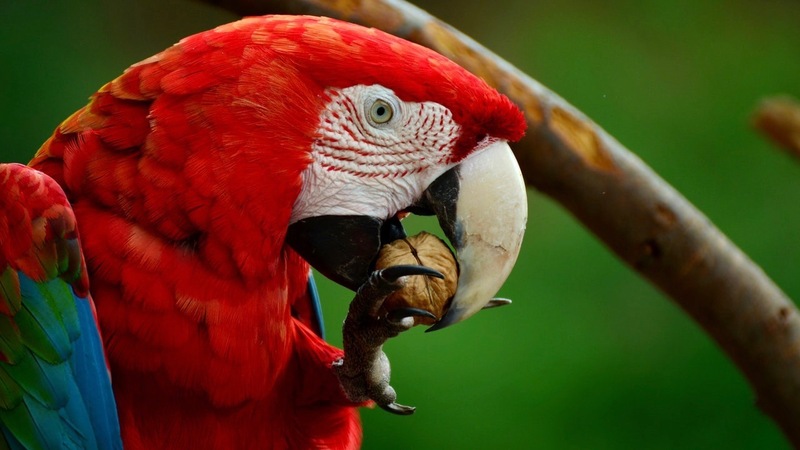 The highlight of your trip, however, will be witnessing a one-of-a-kind morning ritual performed by the parrots and macaws resident in the area. 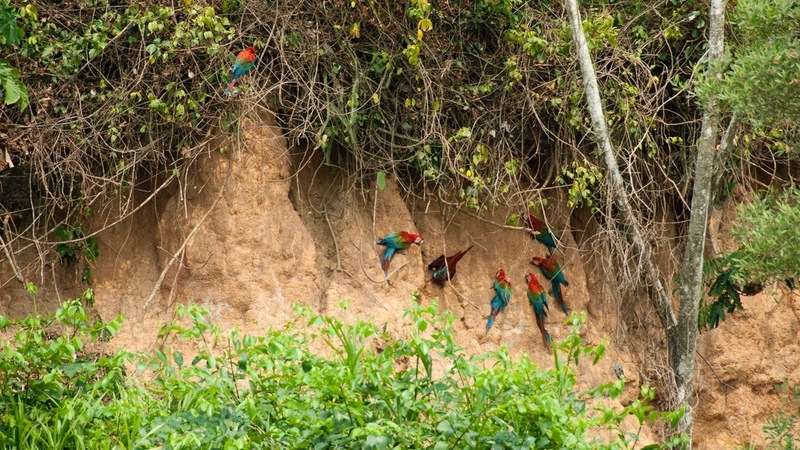 As every new day dawns, hundreds of brightly-coloured birds flock to the clay walls at the banks of the river to feed on the minerals found there. After 20 to 30 minutes the biggest clay lick of the world will be over for another day until it commences again with the first rays of sun. Generally, scientists are unsure why these mysterious feathered creatures do perform this ritual. Some assume that the clay has important nutrients. Others think that the clay aids the digestions of toxic seeds of native fruits. Nevertheless, observing the spectacle is a not-to-be-missed experience. On the first day of your excursion you will be picked up from the airport, bus station or your accommodation in Puerto Maldonado. After a short briefing at our local tour office, we will start our excursion into the jungle with our air-conditioned 4×4 vehicles. 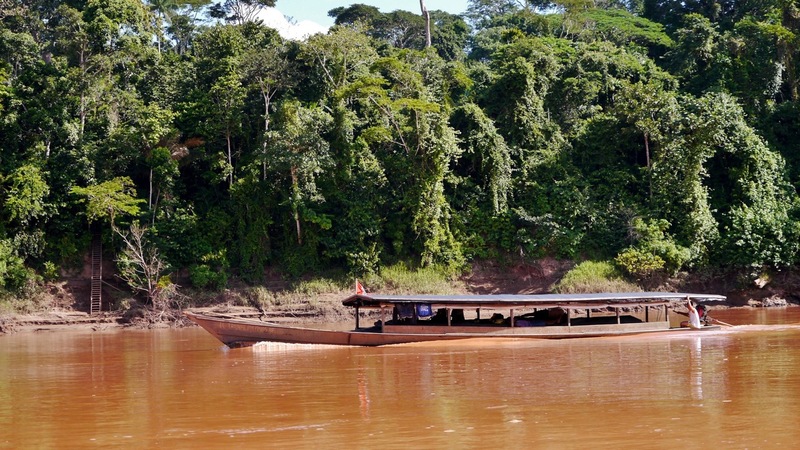 We head towards the Tambopata River for approximately 2 hours. At your first accommodation for the trip, Monte Amazonico Lodge, you will have breakfast or lunch – depending on arrival time. 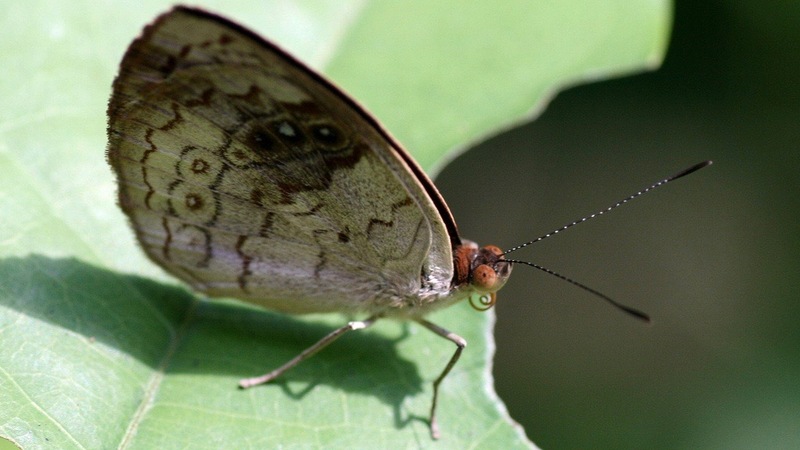 Afterwards, you will embark on your first walk into the jungle to encounter interesting birds, mammals, insects, amphibians and reptiles in their natural habitat. 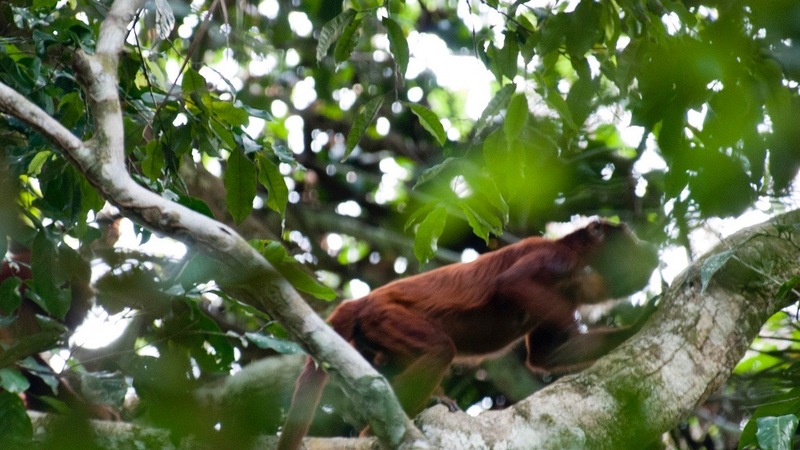 Our knowledgeable guide will be happy to answer any questions you might have about the jungle. Back at the lodge, a delicious dinner prepared from regional ingredients will be waiting for you. Today your journey to the clay licks will commence early at 04:30am. 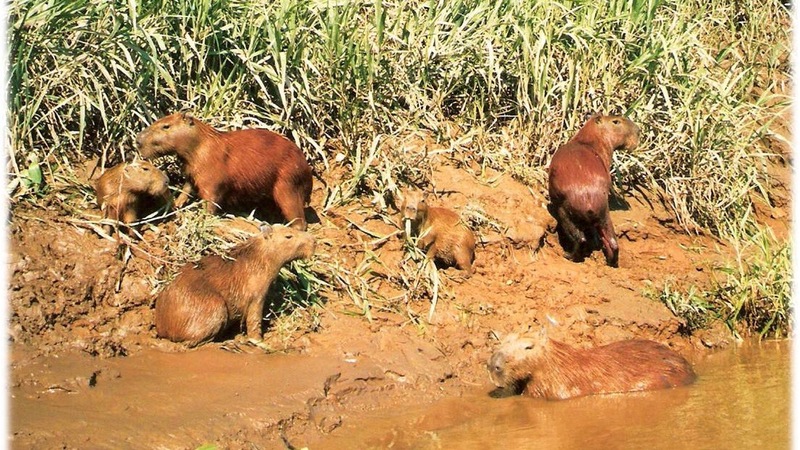 As we travel by boat along the river, you will most likely spot some exotic animals, for example capybaras looking like giant guinea pigs, and maybe even a jaguar. 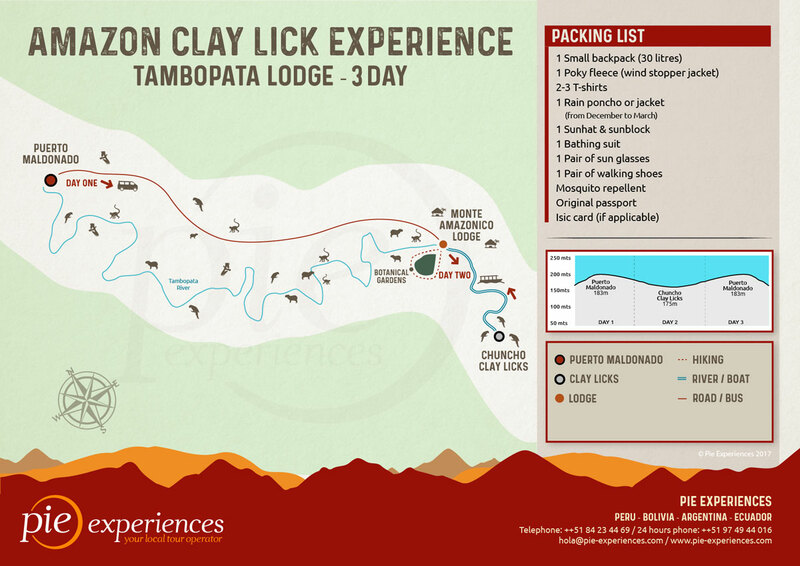 Arriving at the clay lick, take a seat and wait for one of the most impressive spectacles nature has to offer. 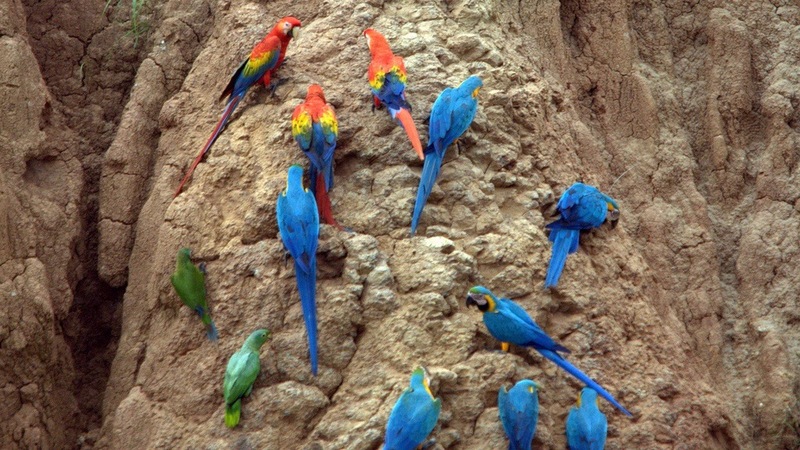 Soon parrots will swoop in over your heads, followed by hundreds of macaws with their brightly-coloured coats. Return to the lodge for breakfast and before lunch, go on a short walk around the botanical garden. There you will learn about the fruit, timber and medicinal herbs of the area. 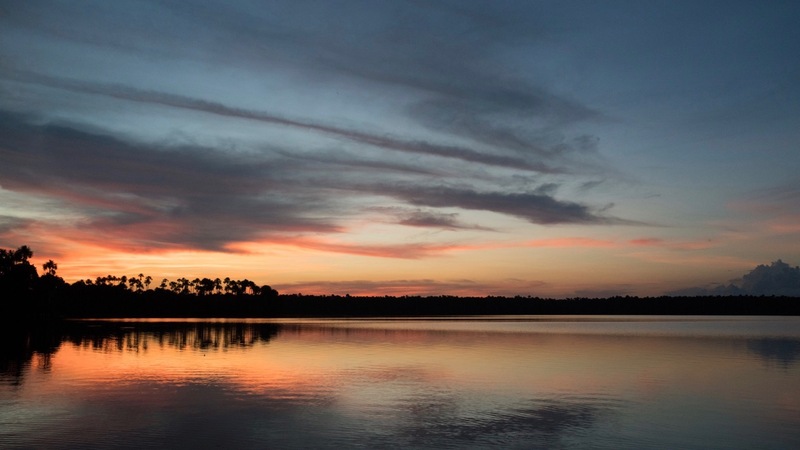 In the afternoon, you will kayak along the majestic river to observe some more of the jungle’s largest animals. 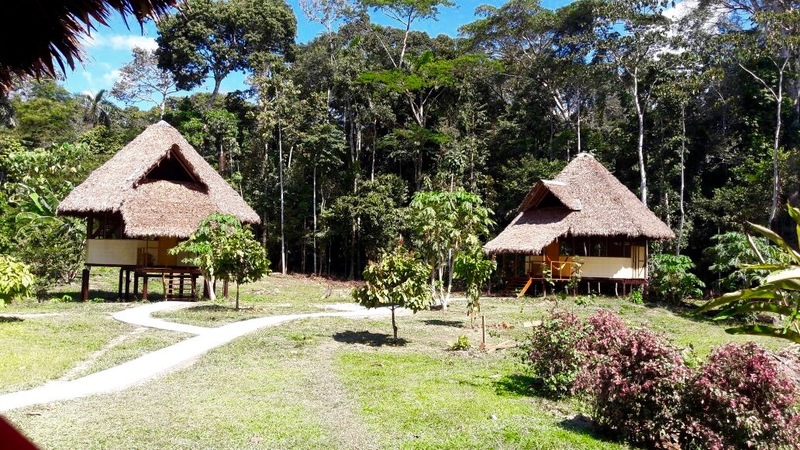 Back at the Collpa Chuncho & Tambopata Lodge, rest or go for another walk to stalk nocturnal animals. Today you will say goodbye to the jungle and the beautiful Collpa Chuncho & Tambopata Lodge and make your way back to Puerto Maldonado. We will drop you off at your accommodation, the bus station or the airport. On the first day of your excursion you will be picked up from the airport, bus station or your accommodation in Puerto Maldonado. After a short introduction and briefing at our local tour office, we will start our excursion into the jungle. 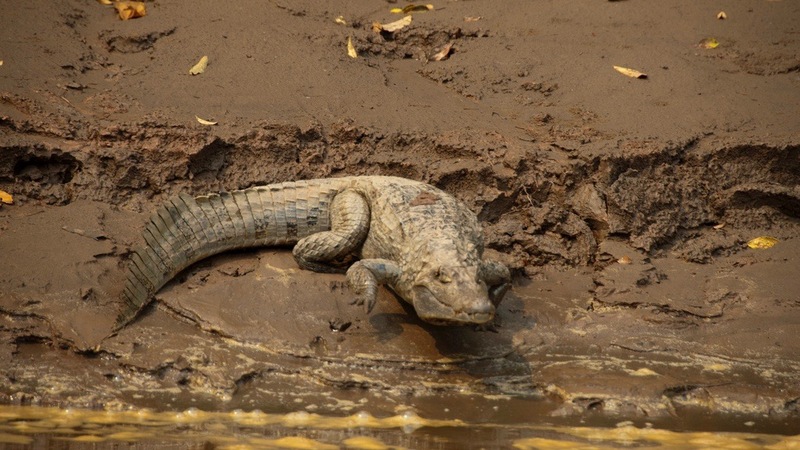 You will set off with our air-conditioned 4x4 vehicles towards the Tambopata River. This will take approximately 2 hours (compared to 6 hours by boat). 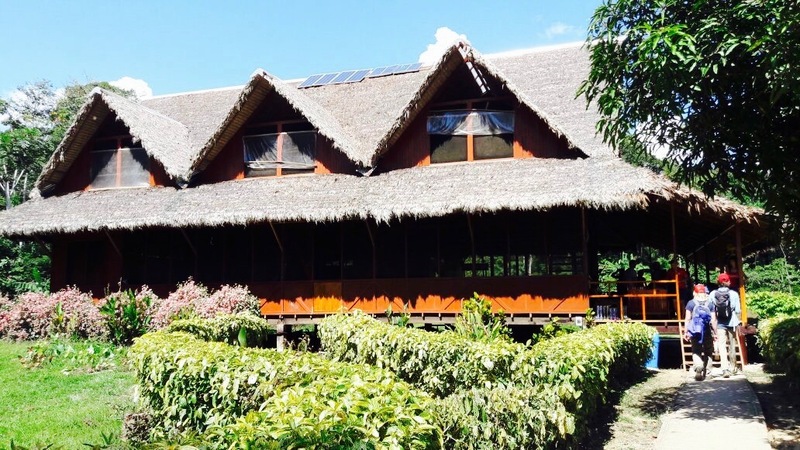 At your first accommodation for the trip, Monte Amazonico Lodge, you will be welcomed with a hearty breakfast or lunch – depending on arrival time. 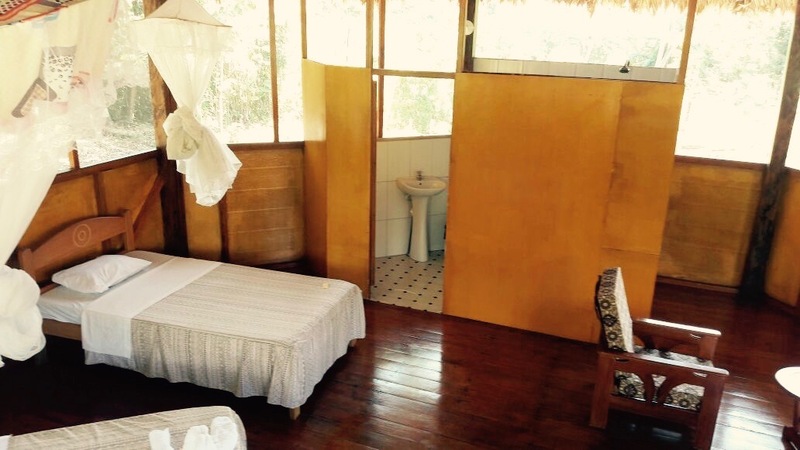 Afterwards, you will have the chance to set-up in the comfortable bungalows of the lodge before you will embark on your first walk into the jungle. 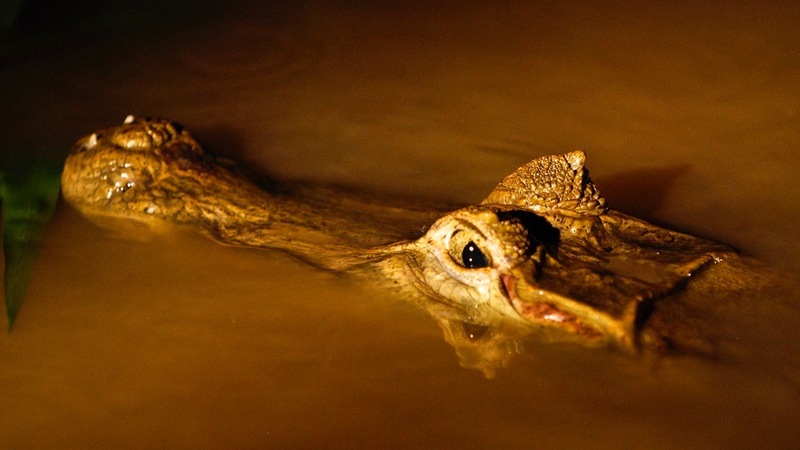 You will encounter interesting birds, mammals, insects, amphibians and reptiles in their natural habitat. 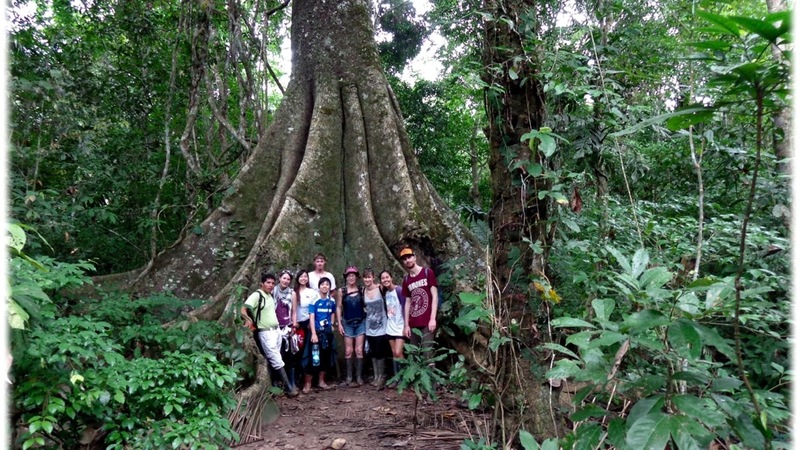 Furthermore, our knowledgeable guide, who will show you around, will also be happy to answer all questions you might have about the Peruvian rainforest. Back at the lodge, a delicious dinner prepared from regional ingredients will be waiting for you. 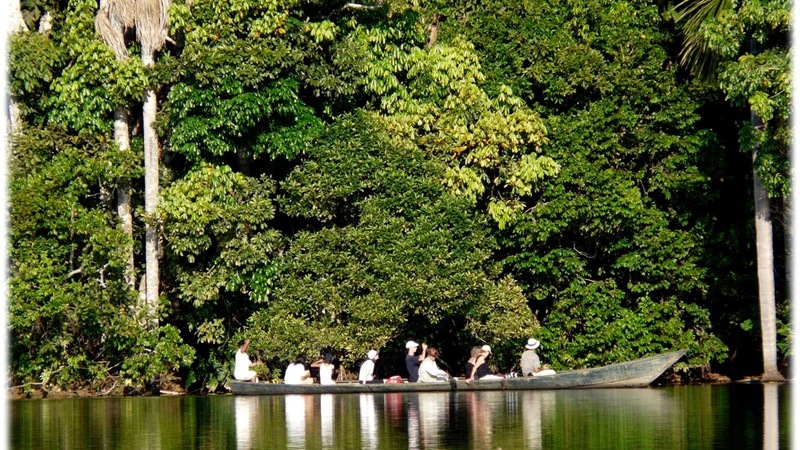 Enjoy with your peers and marvel over your first day in the jungle and unforgettable impressions of the local wildlife. Today will be an early start as we commence our journey to the clay licks at 04:30am. 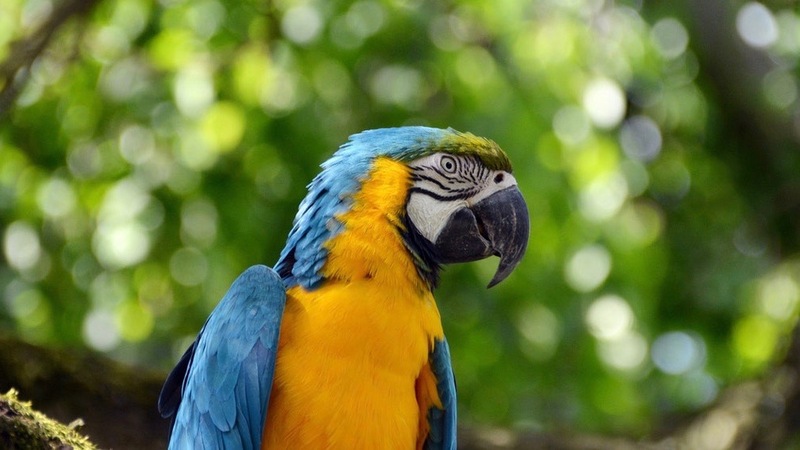 Travelling by boat along the river you will most likely spot some exotic animals already. 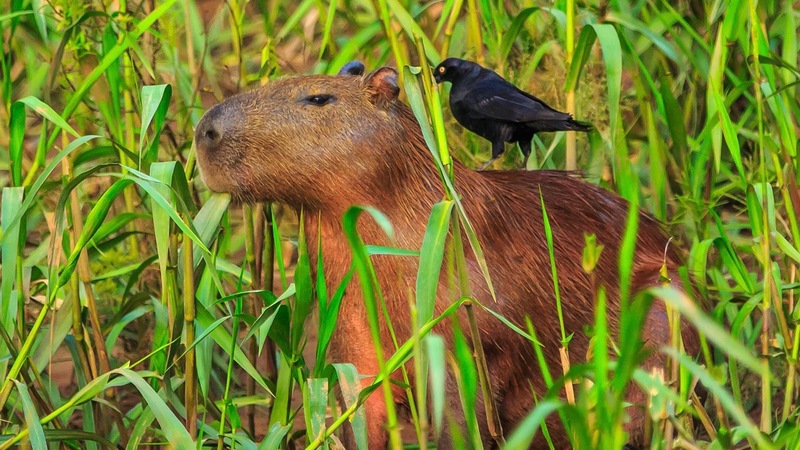 For example, the capybaras, who look like giant guinea pigs, or even jaguars might show their face. 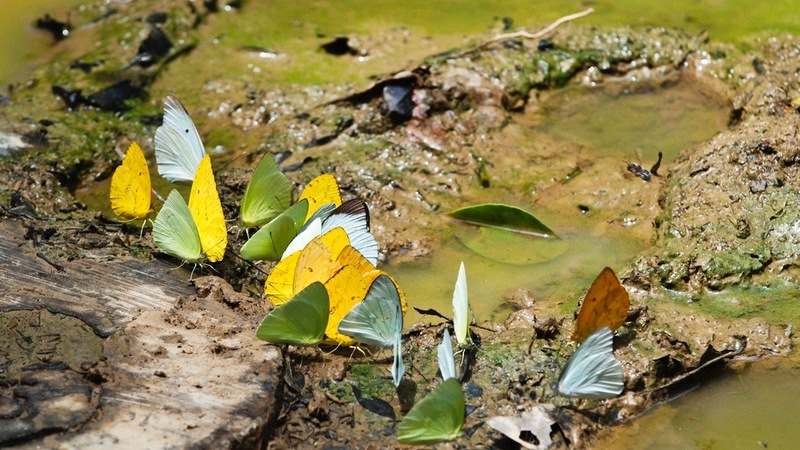 Arriving at the clay lick, you will take a seat and wait for one of the most impressive spectacles nature has to offer. 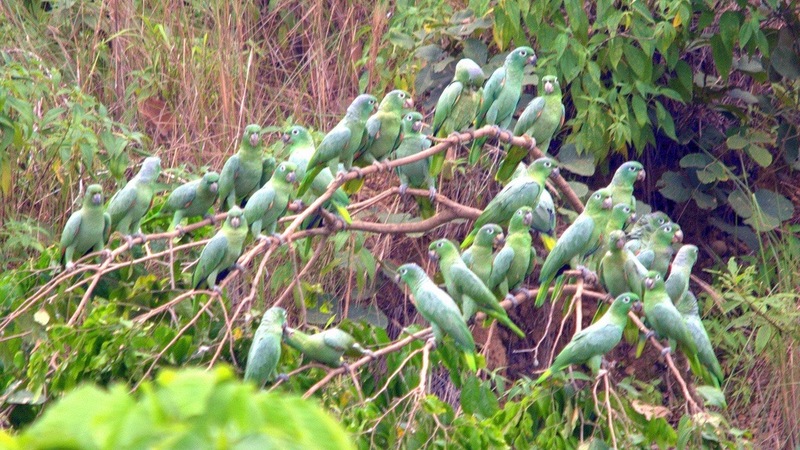 Soon the parrots will swoop in over your heads, followed by hundreds more. 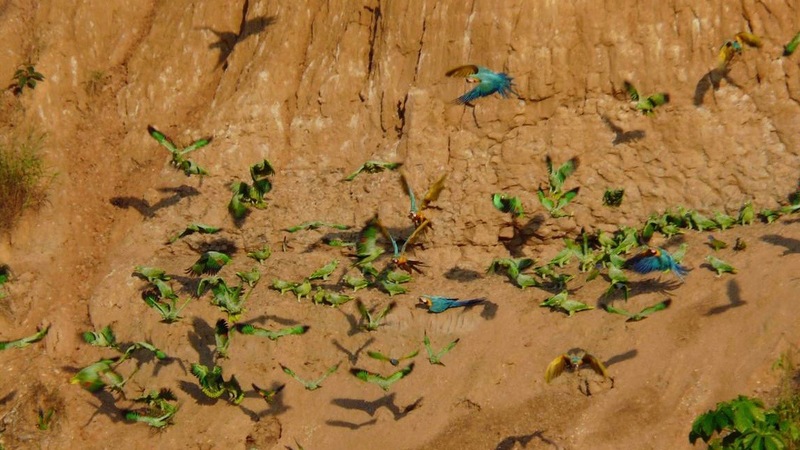 A bit later hundreds of macaws will join them. All settling down to eat the clay, the birds will amaze you with their bright coats in all colours of the rainbow. You will return to the lodge for breakfast and for a little rest. Before lunch, the guide will take you on a short walk around the botanical garden where you will learn about the fruit, timber and medicinal herbs that are harvested in the area. In the afternoon, you will kayak along the majestic river. Silently gliding along among beautiful nature, you will spot some more of the jungle’s largest animals. 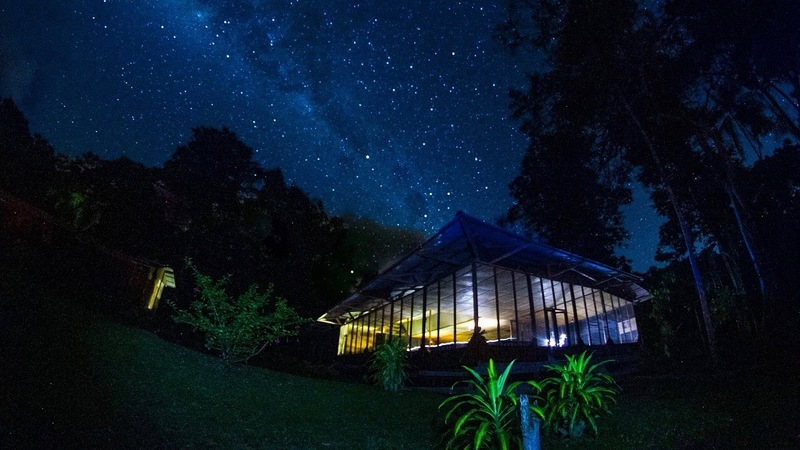 As you get back to the Collpa Chuncho & Tambopata Lodge, it is yours to decide whether you would like the time to rest or go for another walk to stalk nocturnal animals.